Stephen graduated with a BA from Furman University in 1984. After graduating he joined the First National Bank of Atlanta as a management trainee. He left FNBA in 1986 to join Complete Reading as a sales engineer in the NE U.S. He was promoted to marketing manager at CR’s parent company in 1987. In 1988 Stephen joined GE as the SE sales manager for GE’s Apparatus Service Division. In 1989 Stephen and his father Lloyd had an idea to start a rigid fabrication company focusing on offering world-class service and quality combined with low cost pricing. Thus Schoen Insulation was formed. For the past 20 years Stephen has lead Schoen Insulation to become the preeminent non-metallic machine shop in the U.S. with the simple mission of being the low cost supplier of non-metallic machined, cut and turned parts. His passions include serving his family, God, his business, Habitat for Humanity, and trying to play golf more than 3 times per year. 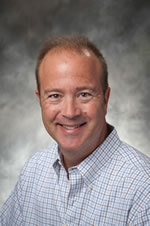 Bob graduated from Miami University in 1984 with a Business Degree in Finance. He began his plastics career with Spaulding Composites in 1984 as a sales trainee and handled sales territories in Ohio and then Southeast U.S. until 1993. In the summer of 1993 Bob joined Westinghouse Micarta as the SE Sales Representative. In 1994 he moved to South Carolina to become the Micarta Industrial Sales Manager. When International Paper took over Micarta, Bob became the Industrial Products Business Manager reporting to the Specialty Products Divison in Maryland. 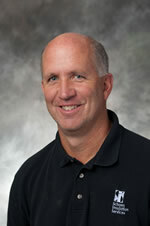 In 1997, Bob joined Schoen Insulation as Sales Manager to help with the growth of the company. Duties at Schoen have included overseeing Sales, Purchasing and Quality for several years. After Schoen expanded their facility several years ago he became more involved in the operations side of the business. 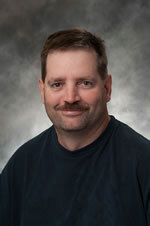 Currently, Bob is the VP of Operations, minority owner and will do whatever is necessary to take care of our customers. Chris graduated with a BS-Industrial Technology from State University College at Buffalo in 1982. He began his career with Spaulding Composites, a manufacturer and fabricator of composite materials in 1984, rising in the ranks from Inside Sales, to Outside Sales, then to Regional Sales Manager and finally to National Sales Manager. He left Spaulding in 1997 to join ART (Advanced Refractory Technology), a Buffalo, NY based company focused on the creation of non-oxide ceramics with principle applications in nuclear power, military and electronic applications. In 2001 Chris joined Schoen Insulation Services as a Technical Sales Manager covering the northeast U.S. and the Midwestern U.S. In 2008 he was promoted to National Sales Manager. Chris’ strengths include identifying and directing new business and new market development, while focused on our Schoen core competencies’ in the area of Power Generation and heavily machined and turned parts.